Full Time Job Openings Portland, OR Branch “Hiring the BEST” Defines our process of vetting against the strictest standards—the toughest in the industry. So, if you’re offered a spot on our team, it means you have a solid background, the right skills, and the attitude of someone who knows how to contribute to a great organization. Job Description Armored Service Technicians work as a team on a designated route. You will be responsible for the safe and timely delivery of cash and coin to Loomis customers, as well as the loading and balancing of ATM machines along your route. You will be thoroughly Trained in a classroom setting and receive on-the-job training with an experienced Armored Service Technician. 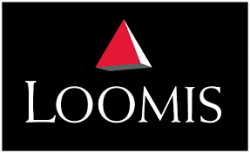 We believe that our people make Loomis a great company. Loomis teammates are constantly encouraged in personal development and are updated on the newest safety and security training. Our training is second to none in the industry. We are looking for applicants who are at least 21 years of age, have a current driver’s license and a good driving record , show steady employment history and can pass a comprehensive background check that includes criminal history check. This position requires that you pass a Department of Transportation screening and be issued a DOT Medical Certification. The Armored Service Technician job duties require the following physical abilities: Carry a minimum of 50 pounds by hand up to several hundred yards by cart Loading/unloading cargo consisting of multiple bags and boxes of coin Unrestricted ability to bend, stoop, squat, stand, walk, climb, twist, turn and reach out Verbally communicate with customers Record information on forms and reports Benefits Include: Paid Time Off (up to 2 weeks within your first year) Medical Dental Vision 401k Long Term Disability Employee Assistance Plan A CDL license is not required to be considered. Apply online at www.work4loomis.com . On-line applicants may be contacted to further discuss the opportunity either by email or phone. Loomis is an equal opportunity employer. EOE M/F/V/D, Drug Free Workplace.